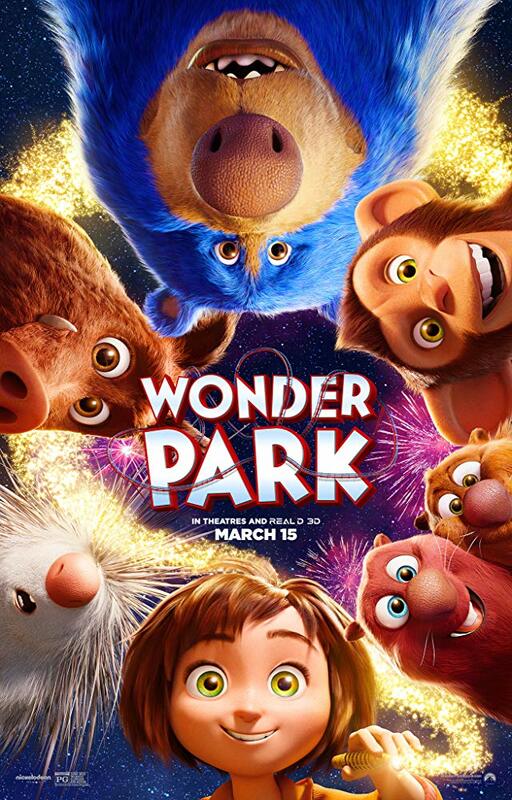 Destined to unfairly live in the shadows of Pixar’s great Inside Out and Toy Story series, Nickelodeon Studios’ Wonder Park is a similarly themed picture about the grueling tug of war between adolescence and adulthood, as well as the superpower of imagination innate to us all. The latter of the two is what struck me most, mostly because the film shows kids and adults alike how seriously important it is to build bridges and to create with judicious caution. Wonder Park asks us to be construction rather than destructive. The movie centers on June (Brianna Denski), a resourceful, energetic, smart young girl, the type whose gears never really stop turning. She’s a thinker and a builder and a doer, typically in that order as she masterminds creations alongside her patient Mom (Jennifer Garner). Together they map out and assemble Wonderland, a fictional amusement park where animals talk and the laws of physics hold no bounds. But June gets older, Mom gets sick, Dad (Matthew Broderick) can’t fill both roles while she’s away receiving treatment. The Wonderland that once lined the halls of their home is slowly but surely dismantled, and with it dreams are demolished. Growing up is the movie’s big, swinging wrecking ball. In a clever turn, the story steps into a new world in the style of The Wizard of Oz as June stumbles upon the realization of her own creation. She’s in Wonderland, looking at what she built, surrounded by the characters she brought to life. Peanut (Norbert Leo Butz) leads the group. Boomer (Ken Hudson Campbell) is a narcoleptic blue bear, Greta (Mila Kunis) is a swine with sass, Steve (John Oliver) is a porcupine in charge of park safety, then Cooper (Ken Jeong) and Gus (Kenan Thompson) are beaver brothers who chomp away as maintenance techs. The Wonderland as they once knew it has changed though, just as June’s spirit became depleted. Darkness overtakes and overruns the park. Only together can they get the park up and running again. I’ll never understand why the film is called Wonder Park but the magical place is named Wonderland. I’m not sure I’ll figure out just what the filmmaker did for this one to be released with no official director. And I don’t even think the animation itself is that particularly amazing either. But Wonder Park is an adventure worth taking. One that’s brisk and hardly overstays its welcome as so many animated films do anymore. This is an 80 minute ride with laughs, heart, a few bumps along the way, and it’s told with a deep sense of sincerity without relying too heavily on the maudlin moments. Like a game of RollerCoaster Tycoon played on an old desktop computer, Wonder Park offers up a universal ride with customizable components, and it’s a surprisingly effective and convincing counterfeit to Pixar’s richer, more groundbreaking films. I say that as a compliment.